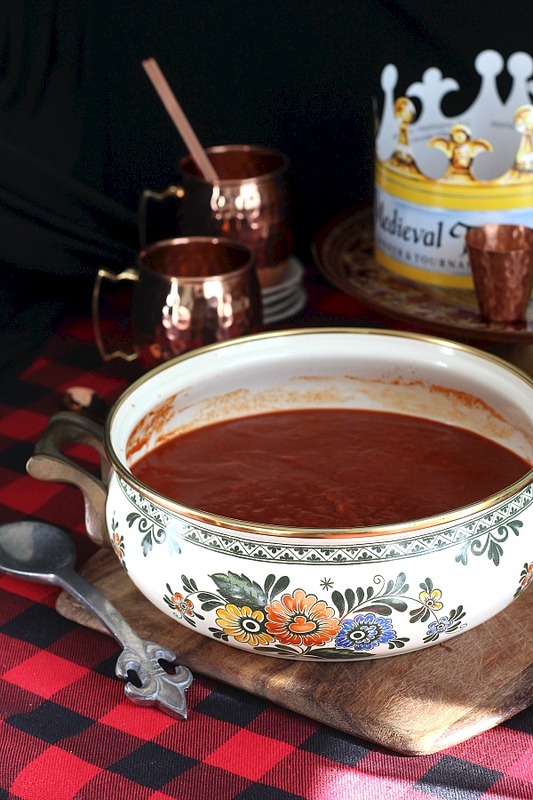 Worthy of the Queens approval and fit for her knights as they ready for a fencing duel is this delicious bowl of Medieval Times Tomato Bisque. I duplicated the easy soup recipe from a recent dinner theater show we attended with our family. 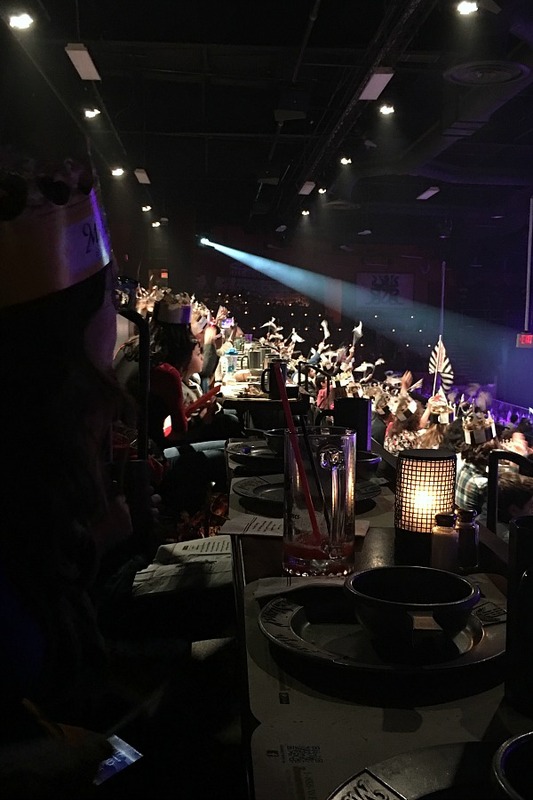 Between Christmas and New Year’s Day, when ticket prices were greatly reduced, we went to a Medieval Times show where dinner was served as onlookers watched a lovely presentation of chivalry and bravery. The show was very entertaining with lots of pageantry and color. 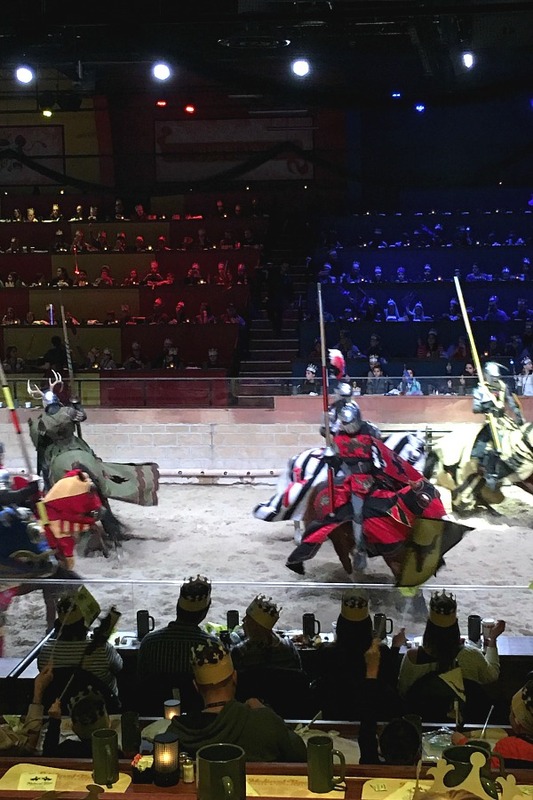 While enjoying a four course meal, we watched for almost two hours, jousting, swordsmanship, hand-to-hand combat tournaments, gorgeous horsemanship and falconry. Upon arrival, we were assigned a knight to whom we would cheer on through his duels. 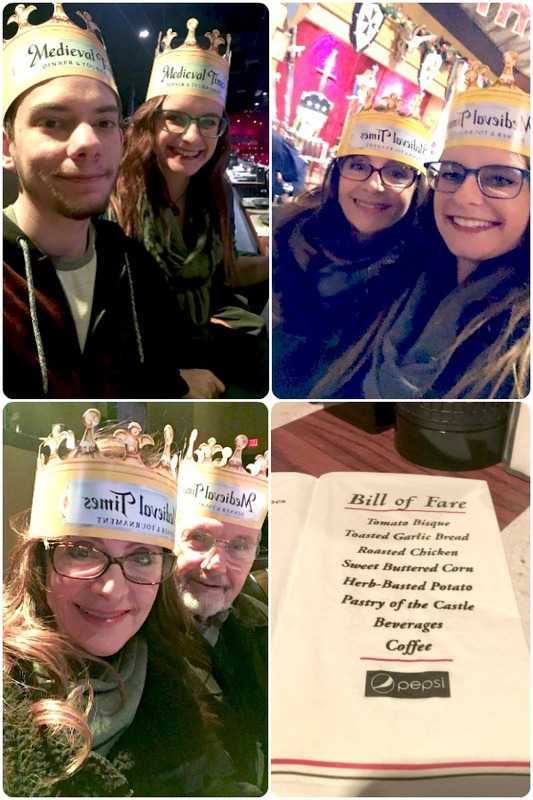 While witnessing the various knights fight their tournaments, we dined and cheered. The napkin shows the order of the food we were served. 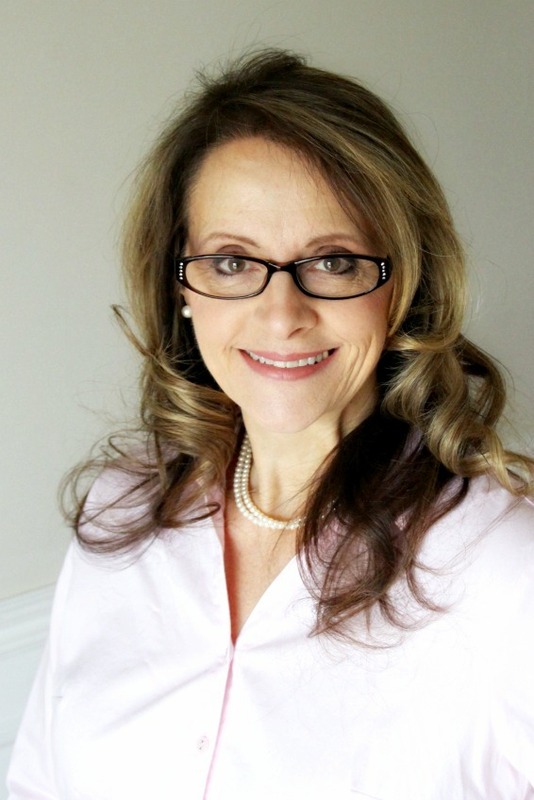 A four-course meal which included garlic bread, tomato bisque soup, roasted chicken, sweet buttered corn, herb potatoes and a slice of pound cake for dessert as well as select beverages. 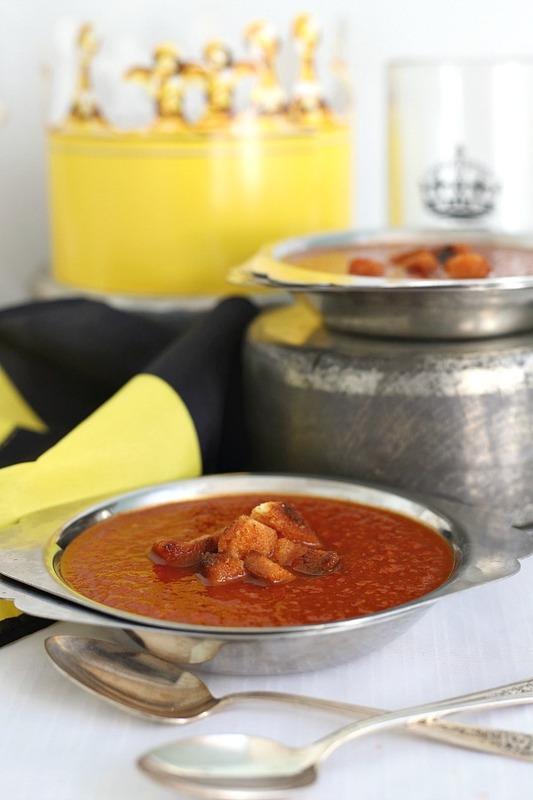 All of the food is served without utensils and the tomato bisque is sipped from a bowl with a handle. You can see from this dark-ish photo how each tier of spectators sit for the meal as they watch activities in the ring before them. 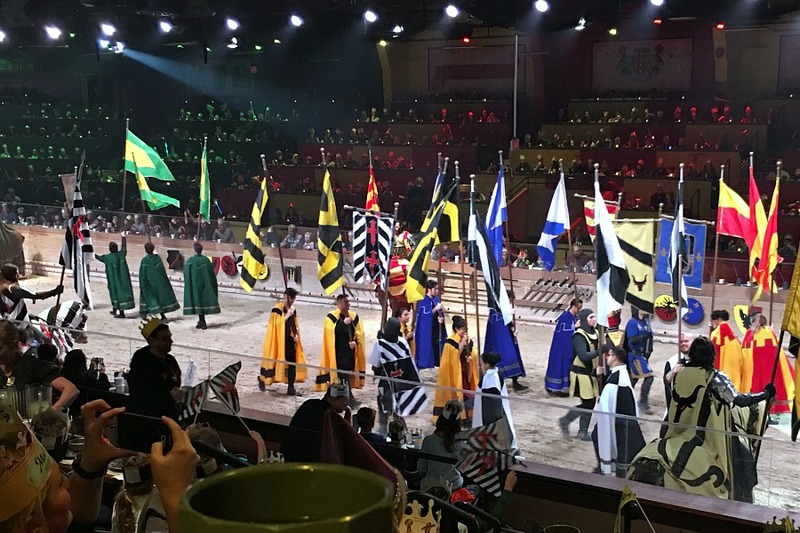 There are Medieval Times Castles in many locations including, Atlanta, GA, Buena Park, CA, Dallas, TX, Myrtle Beach, SC, Toronto, ON, Baltimore, MD, Chicago, IL, Lynhurst, NJ and Orlando, FL. 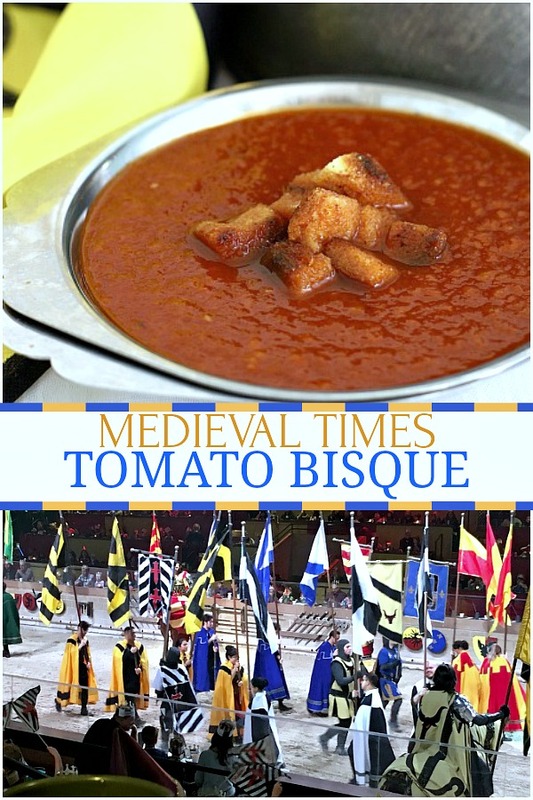 I’m not really sure tomato bisque was ever served in an 11th century Spanish castle to the Queen and her royal court but if it was, they would have certainly enjoyed it. It is full of fresh tomato flavor and slightly tangy. 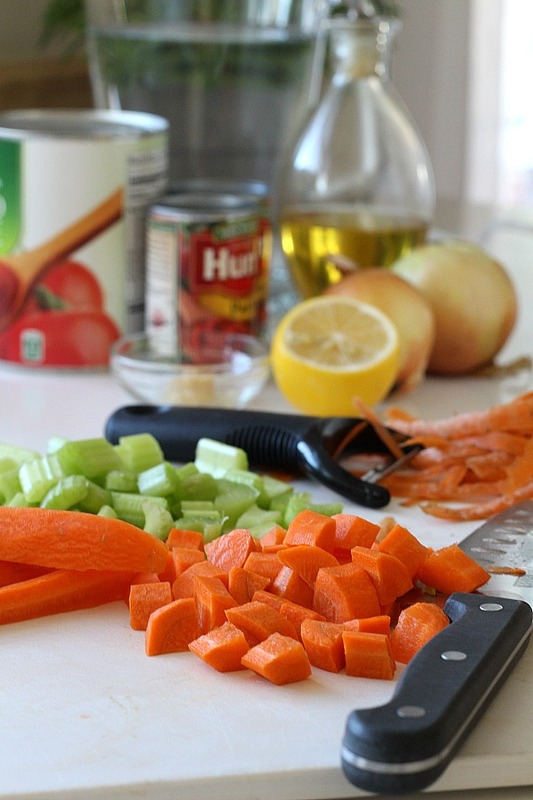 Begin by cutting the carrots, celery and onion into small pieces about ½ inches. 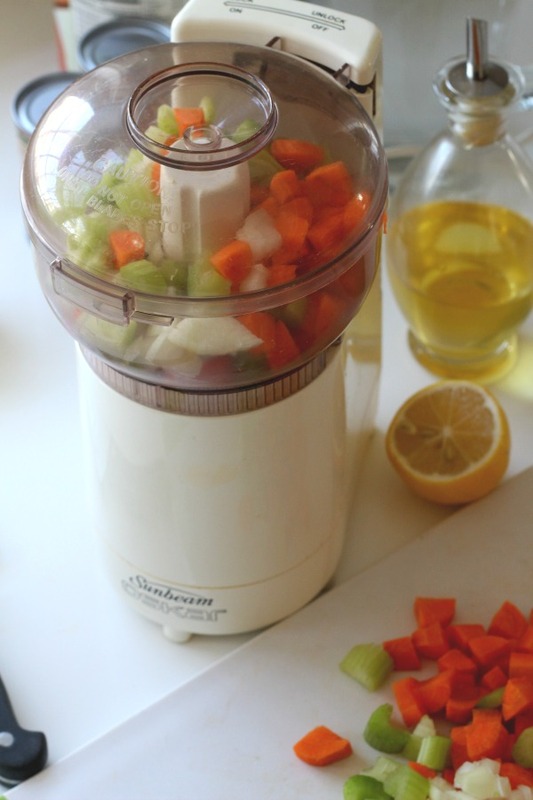 Place the carrots, onions and celery into a food processor fitted with the knife blade. Pulse until they are finely minced, almost pureed. 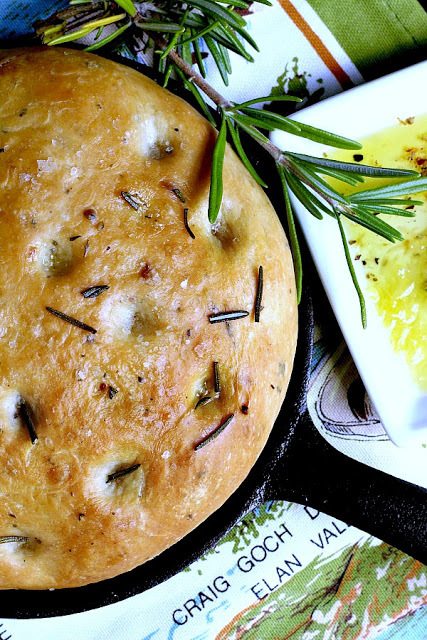 Heat the oil in a large Dutch oven sauce pan or pot. 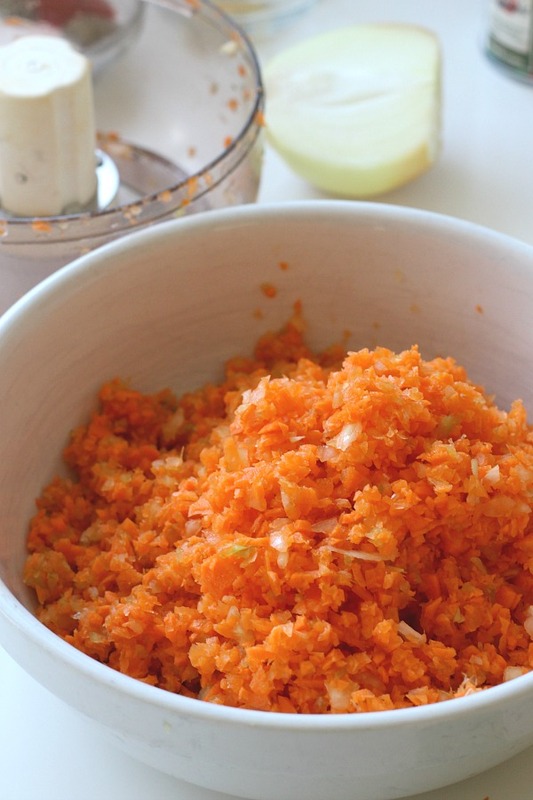 Add the finely minced carrots, onions and celery and cook until vegetables are soft but not browned, about 5 to 7 minutes. 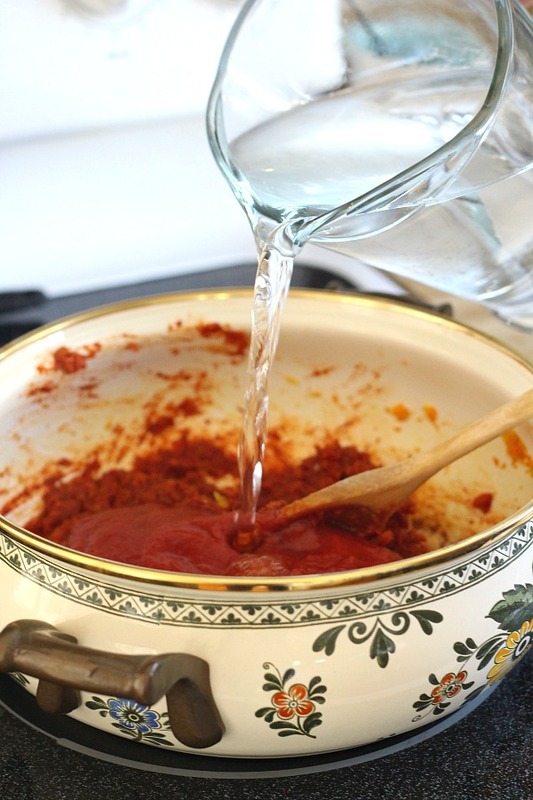 Add the tomato puree and water. Stir in the paprika sugar, salt, ground pepper and Italian Seasoning. Bring soup to a boil while stirring frequently. 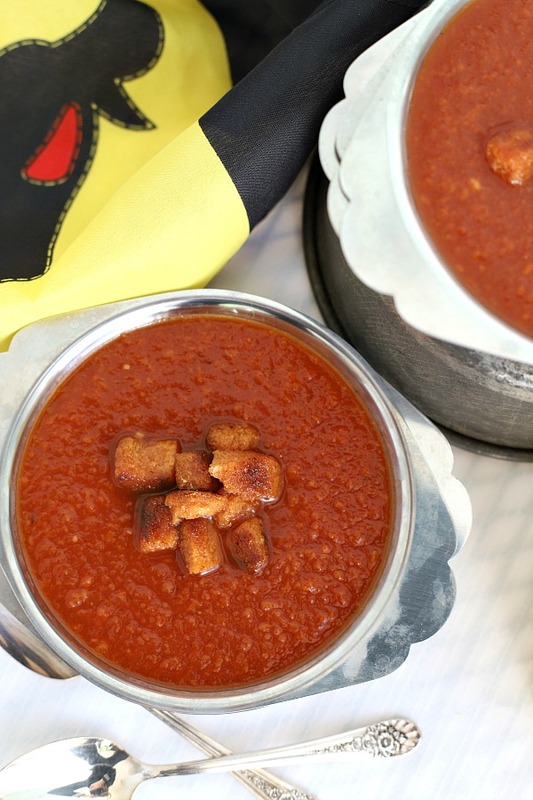 Once soup comes to a boil, reduce heat to a simmer and continue to simmer for 45 minutes minutes, while stirring frequently to prevent soup from scorching. The recipe does not mention it, but I prefer to simmer the pot covered with a lid. 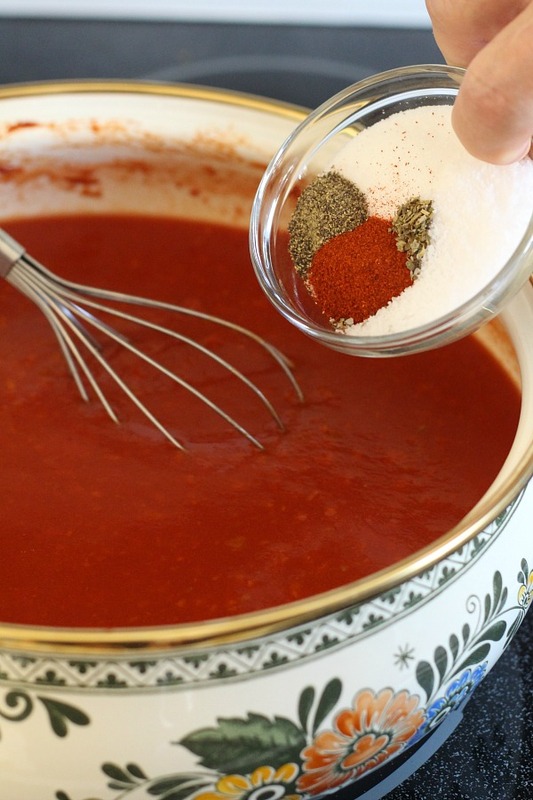 When soup is finished cooking, remove from heat, taste and adjust seasoning as necessary. 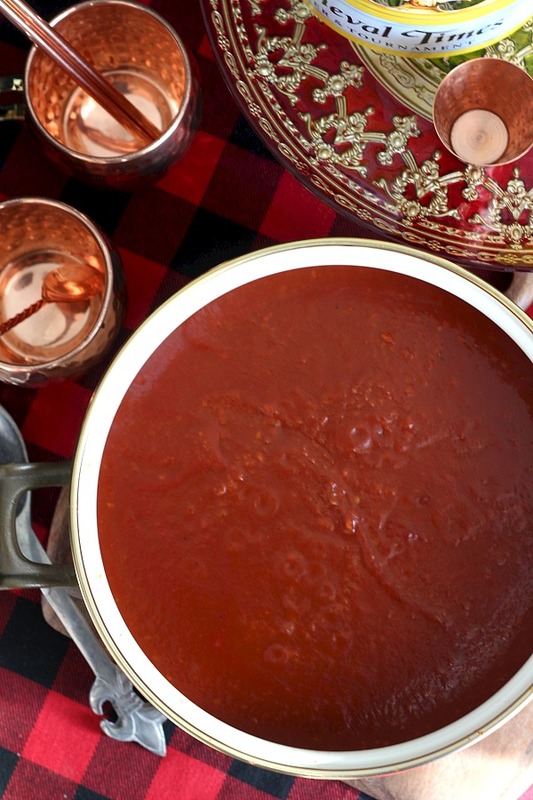 Heat the oil in a large Dutch oven sauce pan or pot. 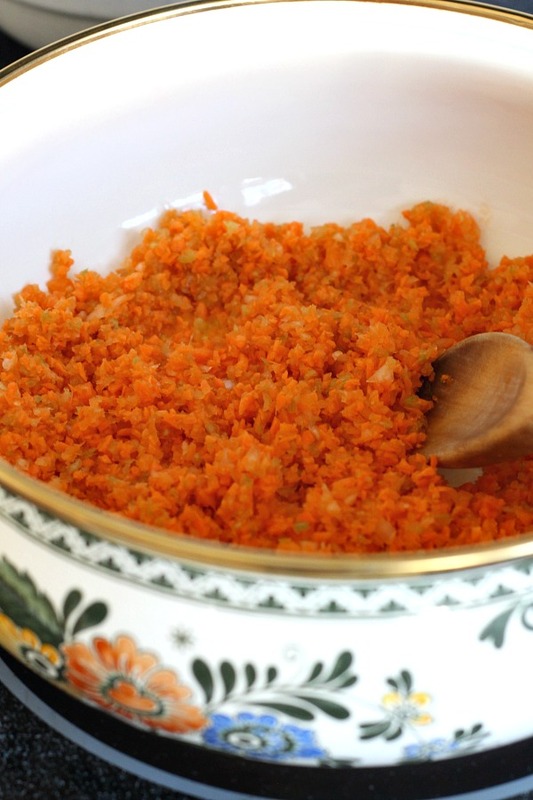 Add the finely minced carrots, onions and celery and cook until vegetables are soft but not browned, about 5 to 7 minutes. 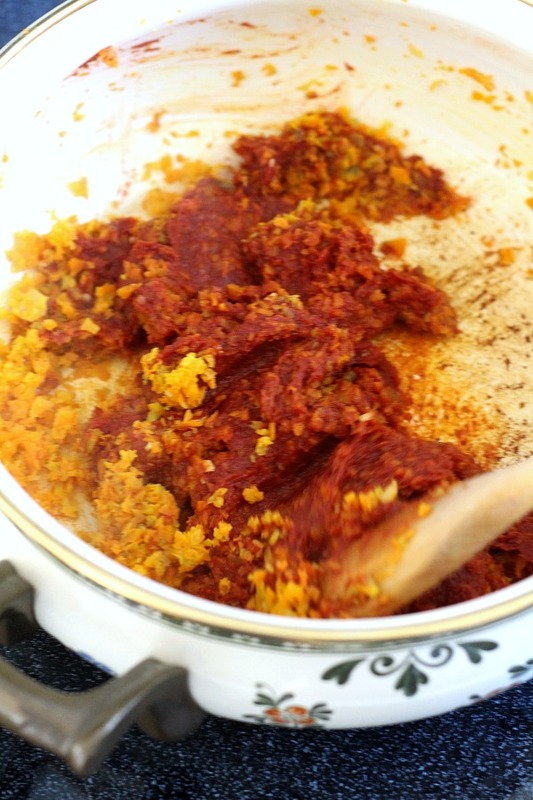 Add the tomato puree, water, paprika sugar, salt, ground pepper and Italian Seasoning. Bring soup to a boil while stirring frequently. 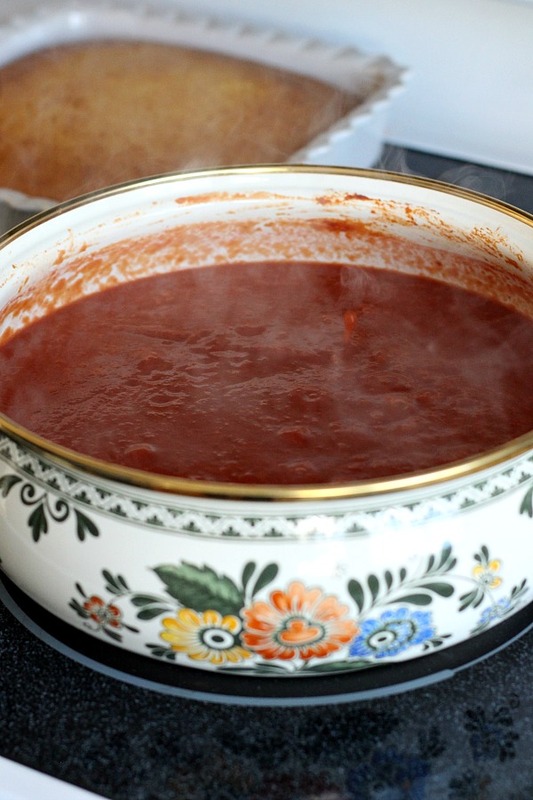 Once soup comes to a boil, reduce heat to a simmer and continue to simmer for 45 minutes minutes, while stirring frequently to prevent soup from scorching. I first made the recipe given by Medieval Times on a television show and their Facebook page but found it to be very thick. The recipe I share above is thinner and more like what was served at the show we attended. We like it much better.